Info During his eight terms in the U.S. House, Congressman Luis V. Gutierrez has worked to establish himself as an effective legislator and energetic spokesman on behalf of his constituents in Illinois' Fourth District. At the same time, Gutierrez' tireless leadership championing the causes of the Latino and immigrant communities has led to greater responsibilities within the U.S. Congress and has earned him widespread acclaim throughout the country-- culminating in his selection as the most admired Latino leader in the country, according to a recent nationwide survey. Gutierrez campaigned for office in 1992 promising to be a "new kind of Congressman" for the people of his ethnically diverse working- class district. He promised to be "closer to the people of Illinois rather than the lobbyists in the backrooms of Washington." 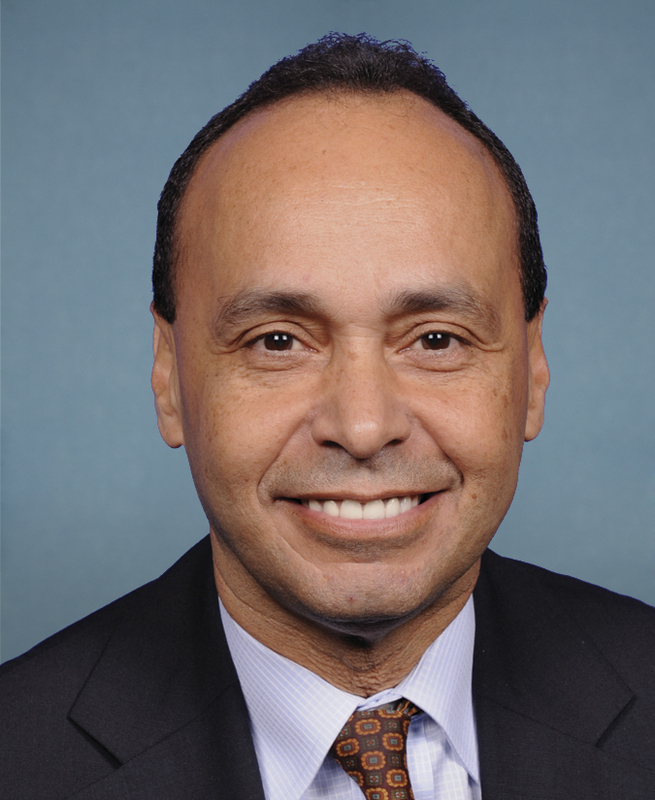 As the first Latino to be elected to Congress from the Midwest, Gutierrez sought opportunities to address long-standing needs facing the immigrant community in his diverse Congressional district, which is home to Chicago's large and established communities of immigrants from Eastern Europe as well Latin America. During his first term in office, he led the fight to increase citizenship education and English language proficiency programs for newly-arrived immigrants. In Chicago, he has held citizenship workshops offering comprehensive assistance to prospective citizens. He was the first member of Congress to gain permission from the Immigration and Naturalization Service to complete and transmit such documents in bulk. His workshops have helped more than 25,000 people take the first steps toward citizenship. Other members of the Congressional Hispanic Caucus have replicated his workshops in their home districts. After the Republican take-over of Congress following the 1994 elections--and the unveiling of the GOP's harsh, anti-immigrant agenda-- Gutierrez emerged as one of the most vocal and active defenders of the rights of legal immigrants, and as one of the most staunch opponents of legislation aimed at denying immigrants their access to protections and benefits. As chairman of the Congressional Hispanic Caucus' Task Force on Naturalization and Citizenship, Gutierrez gained national recognition for his efforts to prevent the break-up of immigrants' families and led efforts to compel the INS to eliminate its massive backlog of citizenship applications. Immigrants' rights advocates have regularly lobbied members of Congress to endorse legislation drafted and introduced by Gutierrez. For example, rallies were held in cities throughout the U.S. to demonstrate grass-roots backing for the "Fairness for Immigrants Act," his bill calling for the full restoration of benefits denied to legal immigrants as a result of the 1996 welfare reform bill. Similar support has been shown for Gutierrez' legislation to protect immigrants from Central America who fled civil wars and political violence in Central America during the late 1980s and early '90s. As many as 650,000 individuals from Guatemala, El Salvador, Honduras and Haiti would benefit from his bill. More than one hundred House members agreed to co-sponsor it. Additional pieces of legislation introduced by Gutierrez include a bill to reinstate the Section 245(i) visa program, to keep family members united while an individual awaits the awarding of a visa; and a bill to crack-down on firms that overcharge their customers-- in particular, consumers in the Mexican-American community-- sending money via international wire transfers. During the 107th Congress, Gutierrez introduced H.R. 500, a bill to grant legal status to immigrants without documentation who are living in-- and making enormous contributions to-- the United States. This comprehensive legalization bill has gained widespread support among grass-roots groups, interfaith religious organizations and labor unions throughout the country. Gutierrez has consistently pushed for effective legislation to stop crime and gun-related violence. He was an original sponsor of legislation to ban nineteen types of semi-automatic assault weapons and introduced a bill to ban the cheap, easily-concealed guns known as "Saturday Night Specials"-- one of the most aggressive pieces of gun safety measures put before the House. As a member of the House Veterans Affairs Committee, he helped pass landmark legislation to provide priority health care to veterans of the Persian Gulf War during his first term and was awarded by the Vietnam Veterans of America as "Legislator of the Year." During 1999, he passed legislation to ensure that women veterans receive treatment and care for incidents of sexual abuse that occurred while they were in the military. Mass transit issues have also played a prominent role in Gutierrez' agenda. He secured federal authorization for a $315 million project to reconstruct the aging Douglas Branch of the Chicago Transit Authority's Blue Line, the "L" route which runs through the southwest side and suburbs in his district. He also introduced legislation offering tax credits to commuters who use public transit on a full-time basis. Gutierrez joined community and business leaders to implement creative ridership incentive programs and to press for the restoration of full service on the CTA. In a survey of Hispanic voting patterns released in late 1999, Congressman Gutierrez was selected as the single leader most admired by Latino voters nationwide. The poll was commissioned by Univision, a nationwide Spanish language television network. In an open-ended, multiple response question, Gutierrez was named most often by survey participants who were asked: "What Latino leaders do you admire most?" Gutierrez was born in Chicago on December 10, 1953. He graduated from Northeastern Illinois University in 1975 and worked as a teacher, social worker, community activist and city official until his 1986 election as Alderman from the city's 26th ward. In the Chicago City Council, he led the fight for affordable housing, tougher ethics rules, and a law to ban discrimination based on sexual orientation. He and his wife Soraida have two daughters, Omaira and Jessica.